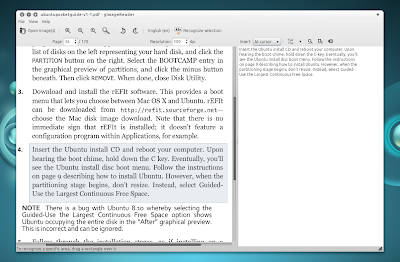 gImageReader is a graphical GTK frontend to tesseract-ocr, a free software optical character recognition (OCR) engine. 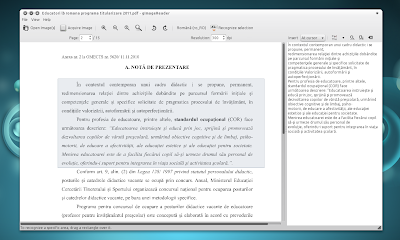 Tesseract is a raw OCR engine, with no document layout analysis, no output formatting and no graphical user interface (GUI). 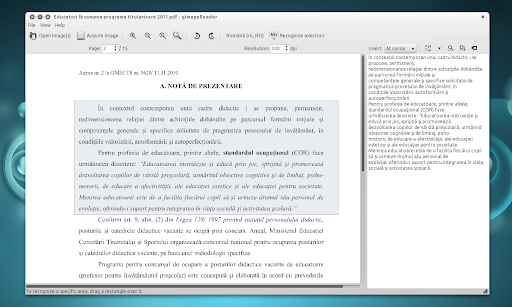 Tesseract OCR 3.0 is still in development but in my tests it worked much better then the current stable version. Further more, the PPA below comes with a lot of extra Tessaract language files so I suggest installing the latest Tesseract OCR 3.0 SVN. This is however is optional! 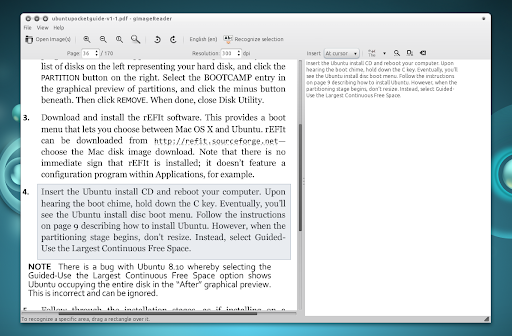 Thanks to LFFL for the gImageReader tip!